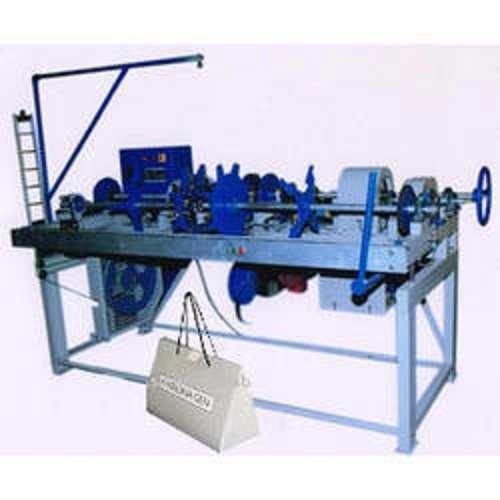 Manufacturing, Supplying, Trading and Exporting a wide range of Rope Tipping Machine and Shoelace Tipping Machines etc. We are one of the leading manufacturer, supplier, trader and exporter of a wide range of Tipping Machines. Our range finds wide applications in several shoe-making establishments and fabricated with quality materials that conform to international quality standards. Our exclusive range of products includes Automatic Tipping Machine, Paper Bag Rope Tipping Machine, Paper Bag Tipping Machine, Semi Automatic Tipping Machine, Shoe Lace Tipping Machine, Fully Automatic Shoe Lace, Semi Automatic Shoe Lace, Circular Knitting Machine, Fast Knit Braiding, Rope Knitting Machine, Bobbin Winder Machine and Needle Loom Machine.